Both the articles are very useful. I wish I could find youtube review videos though - so far there's only videos of the watch itself and those aren't too clear either. My pics on the Eye Candy post were taken under natural light. The color of the dial is portrayed as accurately as possible. The hue is very similar —almost identical— to the one on my 15400 Ruthenium Dial. Here's a link to it. Here are some more photos in different angle and lighting to help. Thanks these are very flattering! I love how everything on the watch contrasts with each other and how the light plays off it! Thanks for the pricing indication - I'll push for it and see how low he's willing to drop it. Also, thank you for the lighting reference - I felt that it's very similar to rutherium dial too. My dealer knows the seller and says he's got a good reputation. He's got the box but can't find the papers. I have told him that missing papers would incur an extra cost so he needs to bring down his selling price. AP will not issue another warranty card. Not sure what that means in terms of warranty etc but someone here will know. 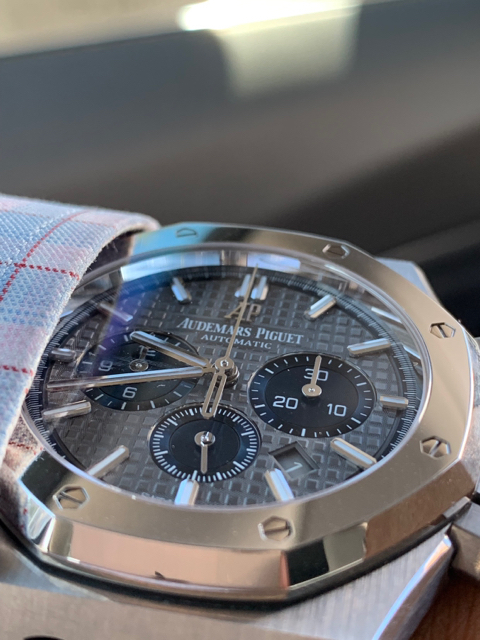 Likely AP will honour the warranty I expect. Thank you guys for all your insights and opinions. The seller isn't willing to come down in price, inspite of the lack of papers and I don't want to risk entering an expensive transaction without everything in place. 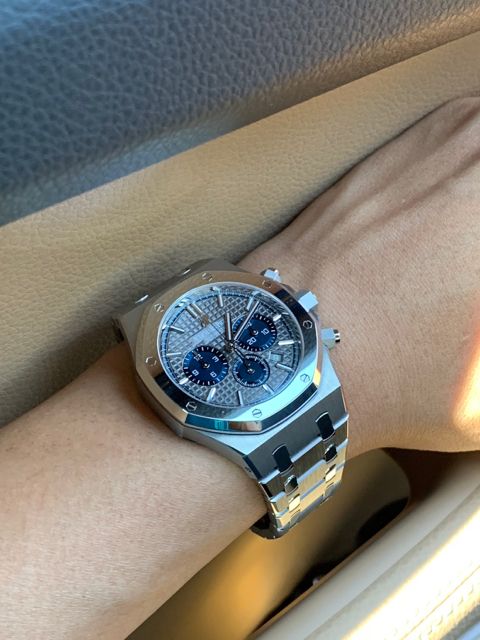 I am instead considering the blue dial chronograph.